Oh Argentina, how you’ve completely surpassed our expectations. Why Mendoza? There are a lot of reasons someone would want to visit Mendoza, but the things that comes to mind first is for the wine and the meat. That was enough for us. We had heard about all the amazing wines that come from here and needed no more convincing. It is considered the Malbec capital of the world. Flying in, there are even vineyards greeting you at the airport. So obviously, we were immediately swept off our feet. The city of Mendoza & where we stayed: As we were driving from the airport into the city we found ourselves wondering what we would do in this town, aside from drinking a lot of wine. Definitely not an urban place. Run down houses and vast farm land. That quickly changes as you enter what should be known as be perfect mix between city and town. Mendoza is a grid like city but only few high rises, usually for hotels. Plenty of shops and restaurants to keep you busy but no hustle and bustle of a city. Tree lined streets to keep you shaded in the heat and lots of parks filled with everyone from young to old. Unlike the other places in South America we’ve been to so far, Mendoza was very quiet for being a city like place. No beeping of horns, no one forcefully selling anything on the street. Dean and I both felt like if we could place this city anywhere in the US we would move there in a heartbeat. We decided to stay in the center of the city at an Airbnb as we gave ourselves 5 days here. Wouldn’t it be nice to unload, spread out and even potentially cook some meals at home? And then we arrived. To give them credit, it was a nice place, right in the center of the city. Unfortunately, the WiFi they claimed to have only worked if you stood next to the door. That wasn’t gonna work for us at all. After a long painful process (and a full refund, thankfully!) we hopped on Hotels.com (while literally standing next to the door) through Ebates of course! (We are getting 3% cash back from there!) and found the Sheraton Mendoza with a mobile rate of $81/night, which wasn’t that much more than we were paying at the Airbnb. Since Sheraton is an American brand, we knew that we will get great service, a concierge to arrange tours and ice cold air conditioning for only a few dollars more a night. We were so glad we did, it was probably the nicest hotel we have stayed in so far! There wasn’t one thing we’d change about it! To top it off we also get rewards nights from Hotels.com so adding 5 nights to our tally got us closer to that free night you get after 10 stays. While there is no Uber, there are plenty of taxis, called Remis’, to get you around. Even with the availability of remis’, we found it very easy to walk everywhere we wanted to go within the city. 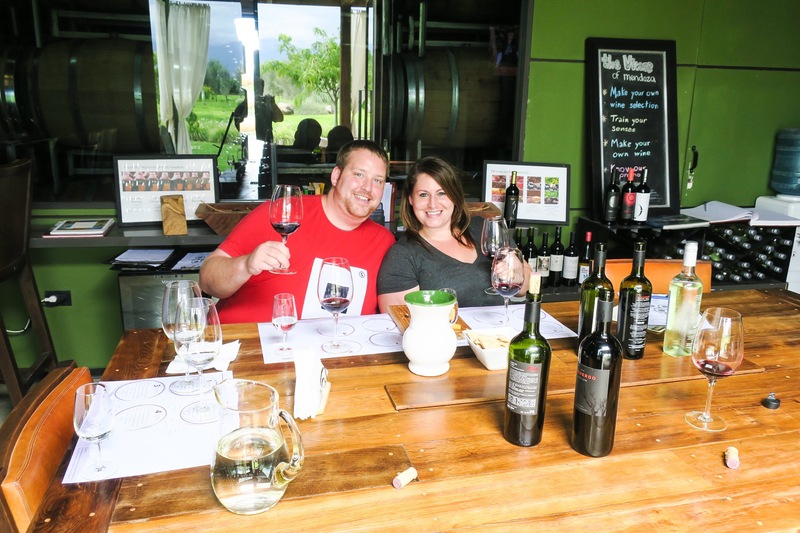 What did we see and do in Mendoza? 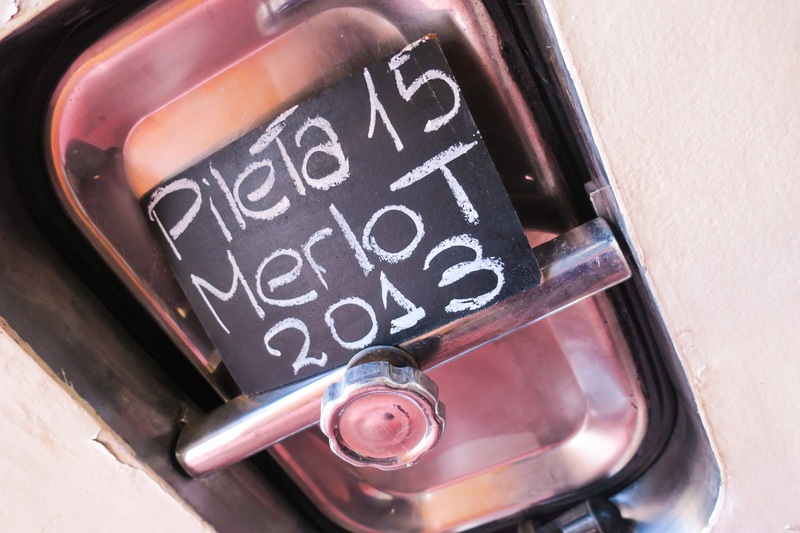 Mendoza produces 2/3 of Argentina’s wine. 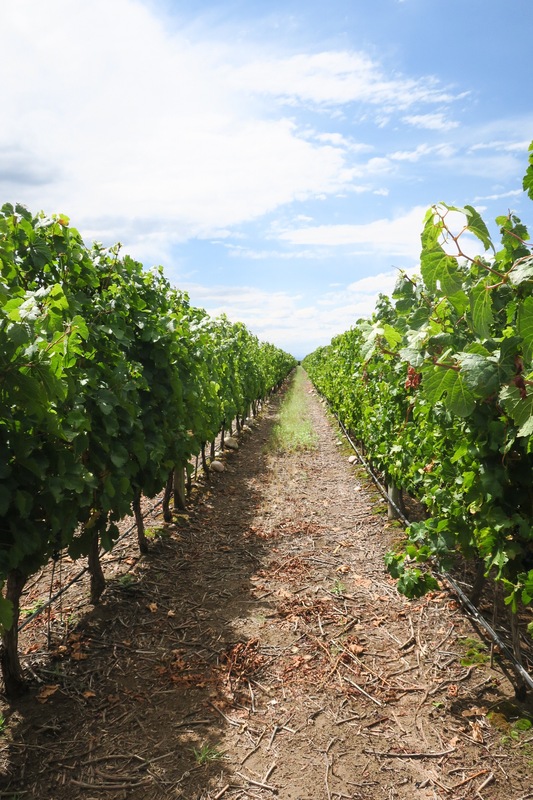 The vineyards surround the city of Mendoza and there are a few different areas you can go to. The first is Maipu which is closest to the city center. Lots of tours go to this area since it is the closest. There is also a hop on-hop off wine bus and bike tours to this area. Further out there is Lujan de Cuyo (still serviced by the wine bus) and about an hour and a half South is Valle de Uco. 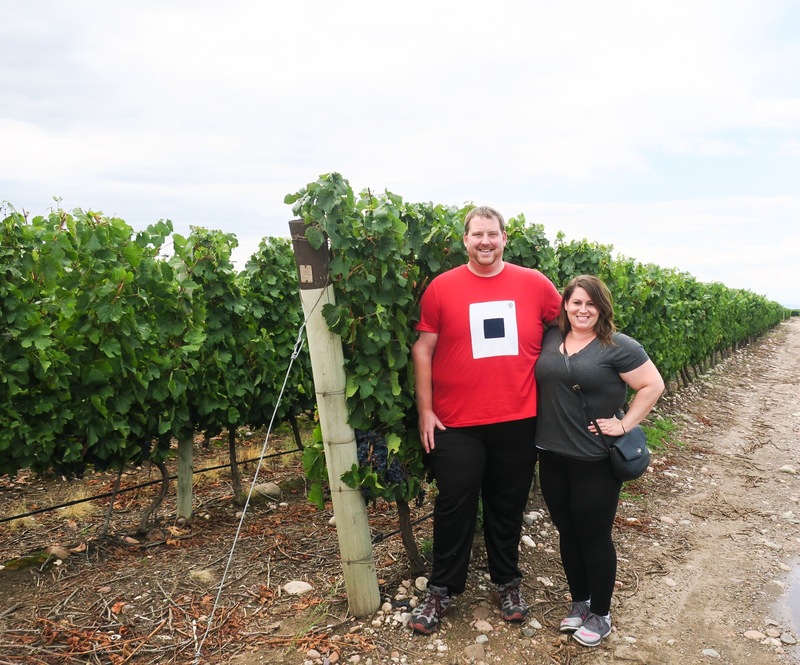 So, of course, the first thing we looked into was how to visit these wineries! There are tons of tours you can take, all of which are very expensive. Full day, half day, with lunch or without. Full 5 course meal with wine pairings, or picnic lunch. 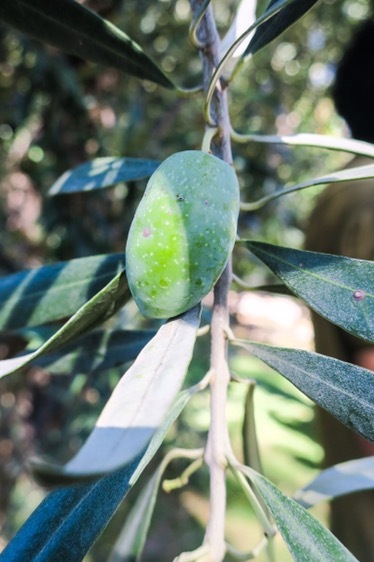 We asked the concierge at the Sheraton and she suggested a half day tour, 2:30pm-7:30pm, that would visit 2 wineries and an olive oil factory. It cost about $30/person so it was perfect for us. Going on the tour was nice as it allowed us to learn a little bit about Mendoza itself from the tour guide on our way to the wineries. Sad to say, the wineries themselves were nothing special. We liked the ones in Chile better. Those felt more romantic and soulful. 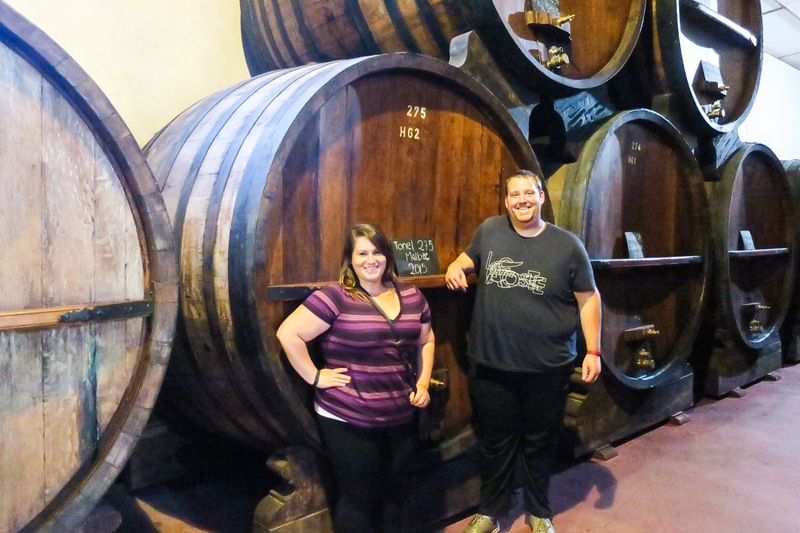 They were happy to have tours and tastings but the love of the wine ran their lives. These felt like they got up in the morning just to run the days tours. There was nothing extraordinary about how they looked or felt as you were walking through, and one of them didn’t even grow their own grapes. It was good to see the contrast though. The olive oil factory was the same way. Tours going every 30 minutes and it just felt like you were just another person pushed in and out. The only good part, we met some fellow World Travelers from England (Hi Katie and Stephanie!) who are traveling from Costa Rica through South America, it’s always great to meet up with fellow globe trotters! French Oak Maturation Barrel – 6000 liters! French Oak Maturation Barrel – 2000 liters! On a different day, we decided to rent a car and drive to wineries ourselves as we thought it would make more sense for us financially. After a chat with our concierge friend, we learned that most wineries are closed on Monday, whoops! Luckily, Dean had emailed a few places prior and we had heard back from one that was open. So we were off to the Uco Valley for a tour of The Vines of Mendoza. An hour an a half, and a lot of wrong turns, we landed right at the vineyard entrance. There were hundreds and hundreds of acres filled with vines. It was a maze trying to get to the bodega. Luckily we met someone along the way that helped us find it. Otherwise I’m positive we’d still be driving around that vineyard. We met Daniel, our tour guide, who told us all about The Vines of Mendoza. It is an extremely interesting concept! Anyone can rent a plot of land and plant their grapes there. They pay The Vines to take care of their crops, harvest, ferment and bottle everything. The owner of the grapes can have as much or as little interaction and involvement as they want. He told us they have a lot of people from the US who come down and buy land to make their wine. They usually come down once a year to help determine what tasting notes and flavor profiles they want. From there you can keep the wine for yourself or sell for profit. We were so fascinated by this concept and are surprised other wine regions don’t have one just like it! 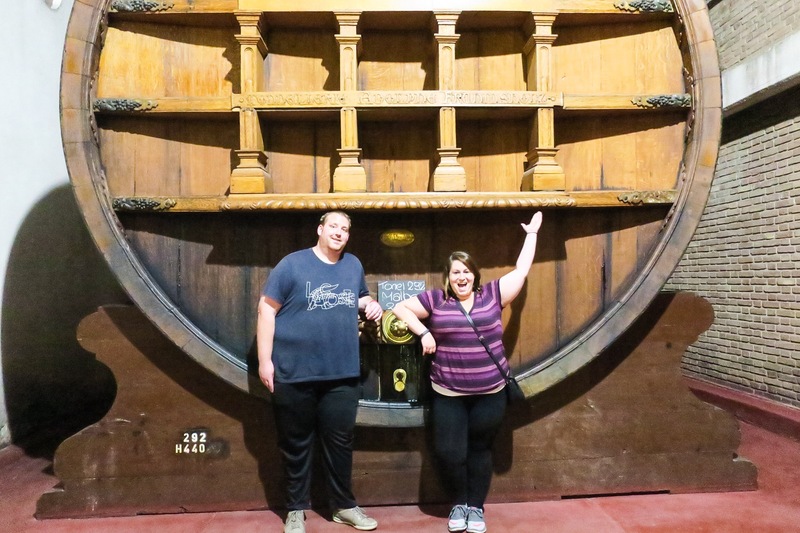 (That we know of…) Then, Daniel showed us the crushing area, their fermentation tanks where the owners can pick between Stainless Steel, Cement or French Oak. Then we were taken into the vineyard where we got to sample some grapes still on the vine. The visual and textural difference between the Malbec and Cabernet Sauvignon was striking. Big, fat, thick skinned, dark Malbec grapes hanging low on the vine compared to the slow ripening, smaller, Cabernet grapes. Daniel showed us how to crush and taste a grape to see and taste the difference between the tannins, juice content and sweetness. 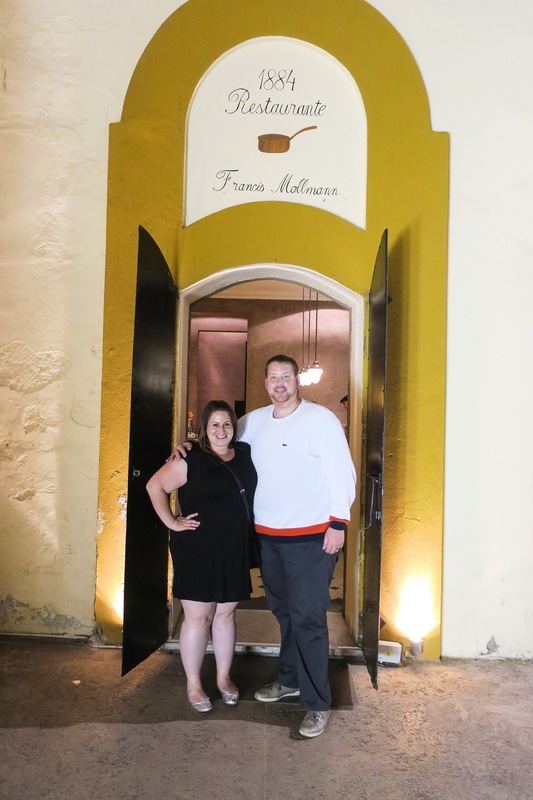 Finally we had the opportunity to try some of the classic wines and after much conversation with Daniel, he upgraded us and we were able to try some more higher end, Reserva wines. 6 tastes in total for the price of 3, some local cheeses, crackers and guided tour. The cost of your tasting goes towards a credit to buy wine. We thoroughly enjoyed the Torrontes they had, and somehow purchasing a bottle ended up making the tour cheaper. (Tasting costs x2 minus the bottle of wine somehow equaled less than just tasting!) Winning! He also let us know we didn’t need to worry about the police pulling us over for drinking and driving, that the only thing the cops care about is if you have your lights on… we thought this was weird, but didn’t argue! While it still cost less that if we were to take a tour, the car itself cost $60 and included 200km, which we went over so we had to pay $8 extra. Gas is also very expensive here and we had to spend $20 to fill it back up . We only used about a quarter of a tank! So in total we ended up spending $88 for less than a day. Wine & Cheese? Yes, please! Where did we eat and drink? The food has gotten better! 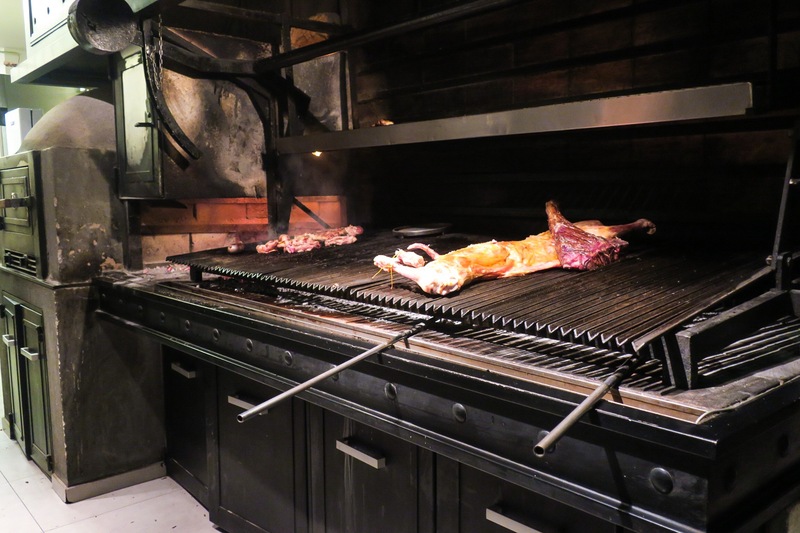 As we have already mentioned, Argentina is known for its meat. Dean is VERY happy. Here’s a list and description of our favorite and unique places. 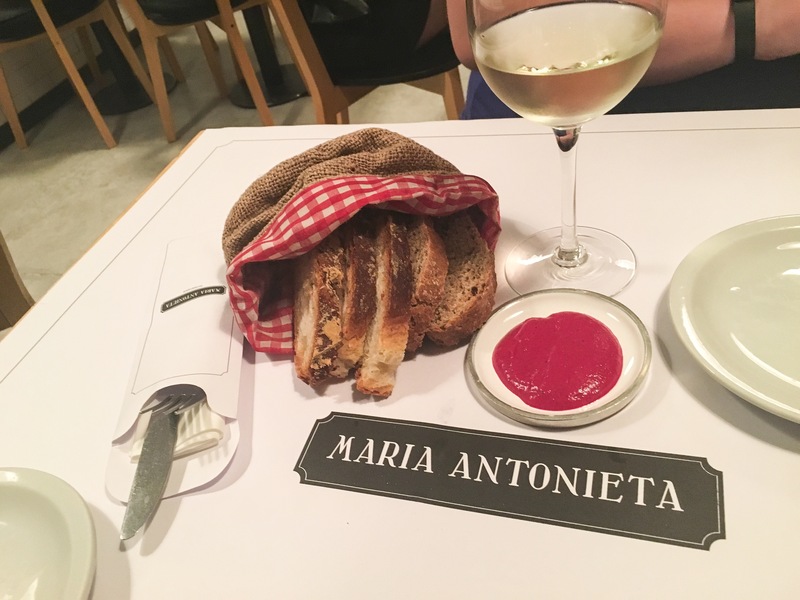 Maria Antoinette: This was our first meal in Mendoza and set the bar very high! We absolutely loved every bite. Dean got a Quilmes beer (Argentinian Lager) and I got a glass of Torrontes (native White Grape). They brought over bread and some sort of beet purée, that got gobbled up very quickly, the purée was outstanding! For an appetizer, we got Tomato Florentina, close to a caprese salad but they used Burrata Cheese instead of mozzarella. If you’ve never had Burrata.. stop reading right now and find some! It’s fresh mozzarella stuffed with a mix of cream and Stracciatella cheese. A structured exterior holds a creamy, soft and subtley salty center. It’ll change your life. We promise. The heirloom tomatoes were some of the best Dean has ever had, such a deep red color and the texture was incredibly meaty, accented with fresh basil leaves and a drizzle of Argentinian Extra Virgin Olive Oil. Each bite produced more stars in his eyes and smiles on his face. For entrees, Dean got an Argentinian Beef Ribeye steak with a side of roasted vegetables, served on a large wooden cutting board. The presentation was epic, the other tables leaned over for a peek at what he had ordered. It’s like when a plate of sizzling fajitas goes by you at a chain restaurant, people get envious! I got the pumpkin and marscapone agnolotti, which is similar to a ravioli. The pasta was perfectly al dente and the inside bursted with the perfect mix between savory and sweet and was so creamy it basically melted in your mouth. For dessert, we shared a warm dulce de leche soufflé with a side of fresh banana ice cream. So rich but oh, so delicious. 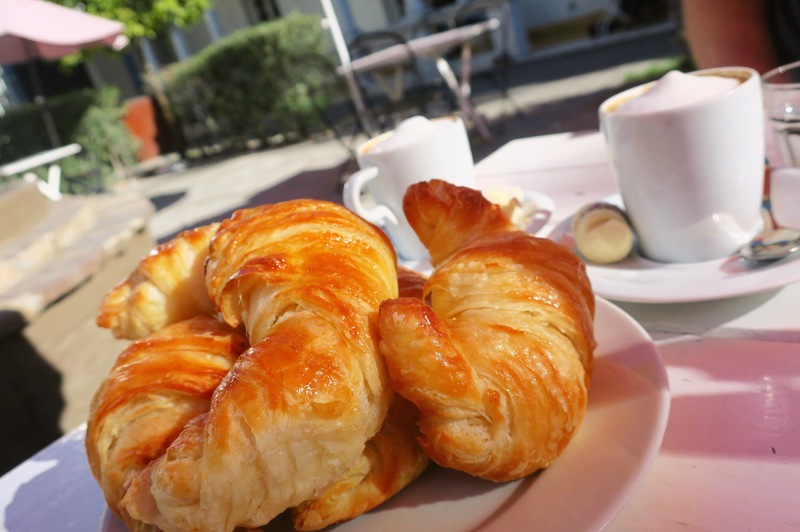 Bröd: We found this little bakery on Yelp and were so happy it lived up to its outstanding reviews. We each got a Cafe con Leche with tiny alfajores cookies. 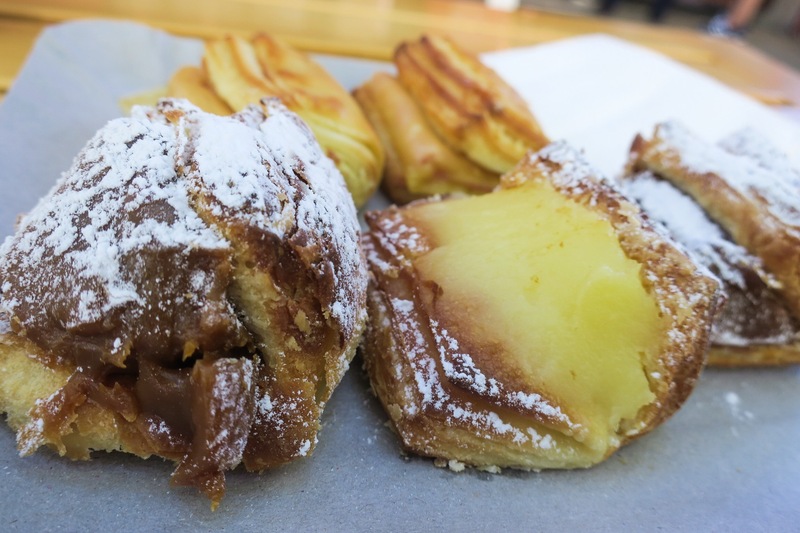 a crumbly sandwhich cookie filled with dulce de leche, and a few medialunas (croissants) and sat on the sun-drenched patio beneath faded umbrellas, the whole thing was the perfect way to welcome us to Argentina. Beirut: A nice hipster spot with plenty of outside tables and even couches if you’re looking to stay a while. They had some good lunch specials which is what attracted us. Dean decided on a flank steak relleno, stuffed with sautéed mushrooms, onions and cheese, served with a massive amount of papa fritas (french fries). My chicken options were sold out, so I got the daily vegetarian special, a salad! Both meals came with some empanadas, Dean got ham and cheese and I got Humita, a sweet corn filling. They were delicious, creamy cheese and salty ham or creamy corn both wrapped in a flaky pastry crust and baked. Since time was short we had to be very un-Argentinian and get our free desert to go, a delicious creamy flan, good thing the our hotel room had a mini fridge! Cachitas Bar: Another successful Yelp search! A huge menu filled with a ton of different and unique cocktails but also a ton of all the classics too. Even better, most we on happy hour which is every day from 7pm-9pm. 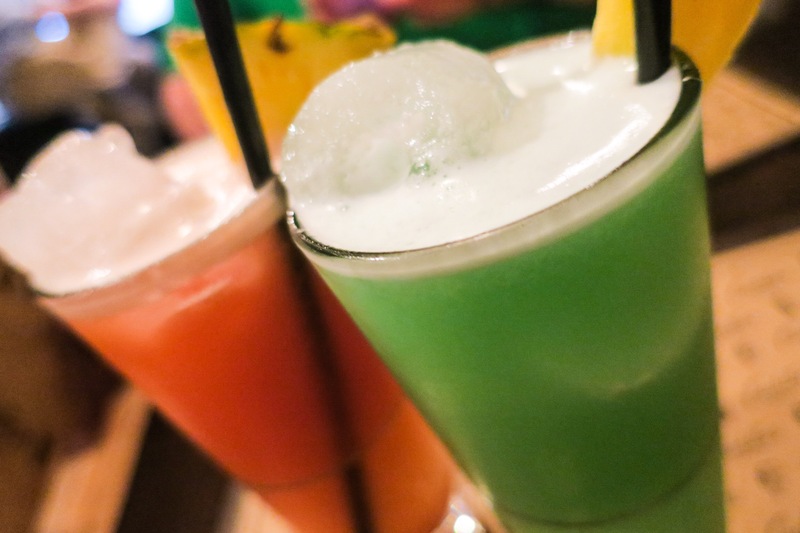 Dean started with a Singapore Sling and I got a Blue Hawaiian. X2!! Then one moe round of Gin Fiz’s. We went here twice during our stay, that’s when you know it’s good! The second trip consisted of Pina Colada’s for me, Cynar Julep’s for Dean and the “Zombie” a tropical drink served in a huge Tiki glass. On our second visit we got dinner here too. Lots of great options from snacks to burgers and sanwhiches. We made friends with one of the managers who was so nice and friendly. She even greeted us with a hug and kiss on our second visit! Almost as Big as His Head! Bull: A typical Argentinian Parrilla (grill) restaurant right around the corner from our hotel. Dean ordered the Bull Burger and I got chicken Milanese. Deans burger ended up being something more like, some meat on thin, crispy bread vs a nice juicy burger on a big, soft bun, but said it was still pretty good. My chicken was decent and they shaped the mashed potatoes into a heart, just one day early for Valentine’s Day. Francis Mallman, 1884: Being the Chef that he his, Dean knew of a famous chef, Francis Mallman that had a restaurant here and kept saying it was one of his “bucket list dinners”. So.. we had to go! This was by far the best meal of the trip so far. Francis Mallman is known for his Patagonian methods of grilling food. He can take the most natural and fresh ingredients and turn them into something amazing. They immediately brought 3 different types of bread served with “Spanish salad” a mix of peppers, olives, ham and tomatoes with a touch of olive oil. The flavors melded together beautifully. For appetizers we ordered two glasses of Spumante wine to be paired with our choices. We shared a potato, rosemary and cheddar flatbread and a salt boiled pear with burrata and a micro green salad. You wouldn’t think that potatoes, rosemary and cheddar would make for that interesting of a flatbread but there was something about the earthiness of the Andean potatoes, the brightness of the rosemary and the mustiness of the cheddar that paired so perfectly together. The salt boiled pear with the creamy burrata and crisp micro greens was the epitome of a flavor balanced dish. The salt brought down the sweetness of the pear just enough for it to be the perfect level of sweet but not too much. The fresh greens and creamy burrata elevated the whole thing in such a way that when you ate all components together, there was a total party in your mouth. For Dean, the decision on what to have for the main course was a difficult one as there were so many things that tickled him. The choice came between Chovito, (baby goat) braised in a clay oven, a skirt steak grilled on an open pit, wood fired grill or the 7.5 hour braised lamb. See what he’s working with here? It was a tough one! After consulting with the sommelier as to which wines would go with each dish he ended up deciding on the Chovito and was glad he did. We paired that with a beautiful Malbec that would go with my dish as well. Dean’s came with a chickpea puree and thyme roasted potatoes. He describes the Chovito as surprisingly mild compared to the other goat he has had in the past. The entire dish was definitely one for the books. I landed on the Gnocchi baked in the clay oven. Nope, no chicken! It was the softest, most pillow like gnocchi I have ever had. It was served in the richest tomato and pesto sauce, topped with salty Parmesan. I can still taste the flavors bursting in my mouth. Sadly, we were too full for dessert. Next time! For two glasses of Spumante, a bottle of Malbec, two appetizers and two entrees in a world famous chef’s restaurant, including tip, we spent $160. That is unheard of in the states! It was the perfect dinner all around, and also happened to be Valentine’s day, so that made it all the more fun. As you can tell, we absolutely loved Mendoza and can’t wait to go back! For now, we say goodbye and head to Cordoba for a short visit and then off to Buenos Aires. Drink up! Love the photos and description of your adventures. Well hears what I’m thinking… BOOK. You must make a book about your travels, & the picture of the sun through the wine glass would make a smashing cover. Love hearing about the places you have been to. Love you two.